This is Meghnath the son of the evil king Ravana. I think. It's almost impossible to find information on the Kecak dance of Bali Indonesia when searching the Internet. Impossible. 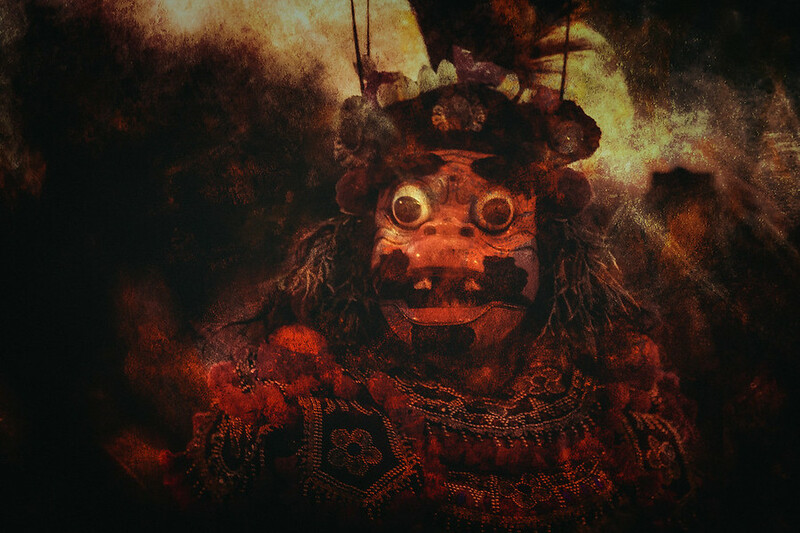 I'm working on a series of the various characters of the Kecak dance. They'll all look similar to this and it's already looking pretty cool. It's such an amazing dance and Bali has such an amazing culture, it will be nice when I'm done. To create this look I've been using various textures all colored and touched up specifically for each character. It's almost all done in Photoshop with final color done in Lightroom. Meghnath, The Son Of Ravana. . . I Think.